Want to be that person that always knows just what to give as a gift? Here’s four simple steps to give better gifts by tapping into your intuition. Enjoy a deep dive into this controversial topic of addictions, irresistible attractions, and sensitivities. 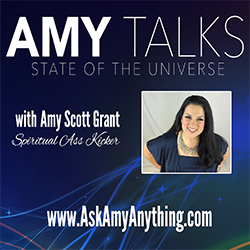 Listen and learn the truth as Michael Neeley of Consciously Speaking interviews me on spiritual and energy-based healing of addictions and sensitivities, including food, sugar, alcohol, addictive relationships and behaviors, and more. Here’s where the episode originally appeared on Michael’s website. Are you suppressing jealousy? Do you find yourself subjected to jealousy and envy from others? Dive into this episode with me and we’ll look at where jealousy stems from and how to resolve it. Enjoy! 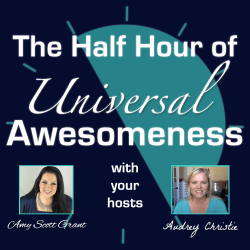 In this hilarious installment of the Half Hour of Universal Awesomeness, Amy Scott Grant and Audrey Christie McLaughlin share easy tips and tricks to open your third eye and expand your intuition. If you or someone you care about suffers from anxiety, here’s a spiritual perspective on what anxiety is, where it comes from, and how it can be resolved. 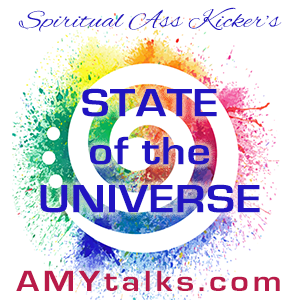 NOTE: this is spiritual–not medical–advice. I am not a healthcare professional, and it is up to you to get informed and take control of your health and well-being.